He replaces Roberto Orci, who got that job after being involved as co-writer of the revamped Star Trek series. The first two installments were directed by Abrams, who then left to direct a revival of the Star Wars franchise with Star Wars: The Force Awakens. I reported that several top-ranked filmmakers were in contention, but I’m told that Lin was the only one offered the job. He is available because he was going to direct the sequel to The Bourne Legacy spinoff with Jeremy Renner, but that film got postponed when Matt Damon and Paul Greengrass agreed to do another installment of The Bourne Identity, which Universal wants to come first. Deadline also reported last month that Universal was courting Lin to return to the Fast & Furious movies -- the studio's most valuable franchise (who would've thunk it?) -- for a possible multi-part finale. But now that he's got the Star Trek job, it seems unlikely that it'll happen, at least for a while. Justin is also directing the first two episodes of True Detective's second season. Busy man. 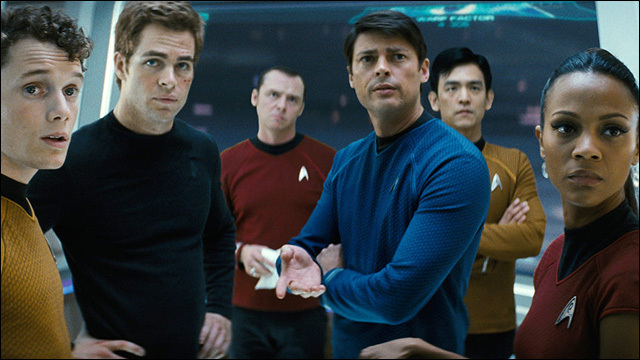 Star Trek 3 will also mark a reunion of sorts for Justin and John Cho, who plays helmsman Hikaru Sulu. They first worked together way back during their indie film days, in Shopping for Fangs and Better Luck Tomorrow.